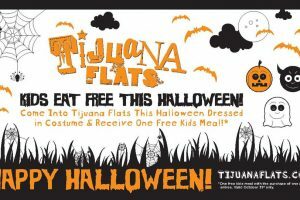 Kids can fuel up for trick or treating with free food on Halloween at participating Tijuana Flats and Sweet Tomatoes. 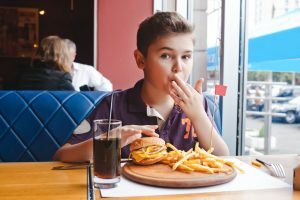 Kids meal is free when they dress up in costume and with an adult purchase. Offer is available October 31 at Tijuana Flats and October 29 to 31 at Sweet Tomatoes.